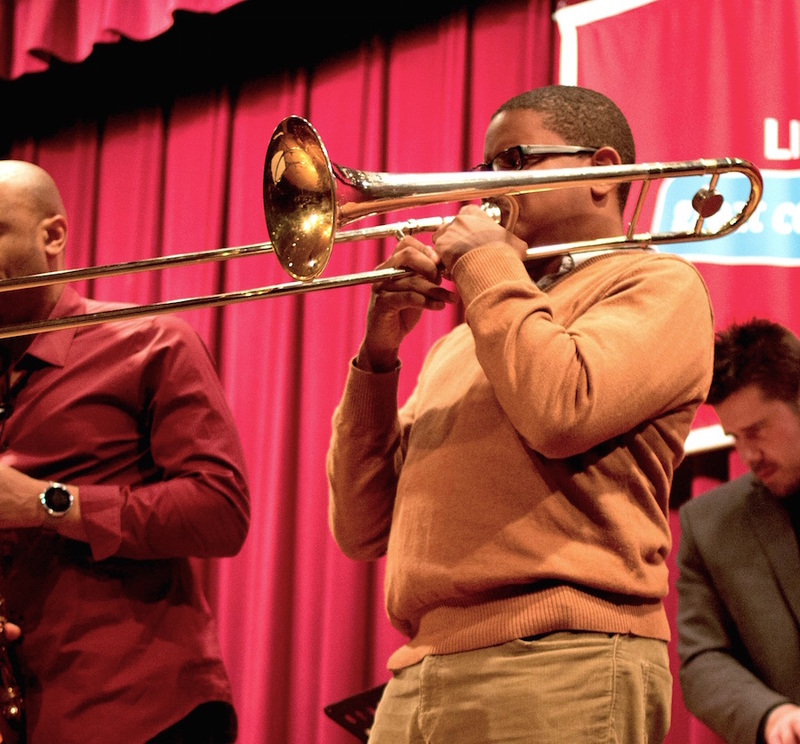 Philadelphia native Brent White received early training under the tutelage of trombonist Al Grey and Clifford Adams. White has toured the globe performing with the likes of Roy Ayers, John Legend, Kindred Family Soul, and Sun Ra Arkestra. He has been welcomed to the stage by Zap Mama, and has recorded in-studio for Patti Labelle. 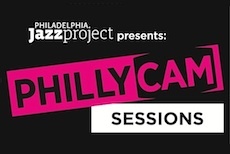 No stranger to Philadelphia and New York jazz scene, White has performed with Orrin Evan’s Captain Black Big Band, Harlem Renaissance Orchestra and the Fresh Cut Orchestra, among other ensembles. A usual suspect at Ortleib’s Jazzhaus in Philadelphia, White has shared many sit-in sessions alongside the legendary Mickey Roker. “You got it...that sound!” Roker frequently commented on White’s ability play with such quality, moving between styles effortlessly. White’s diverse exposure, has allowed him to perform in musicals such as Ain’t Misbahavin’, Rock & Soul, Rat Pack, Burn the Floor. White’s training and experience have placed him in a position to continue to nurture his own recipe of good music that speaks honestly, emphasizes quality and is recognized as having a “good sound” evident to anyone who hears him play. 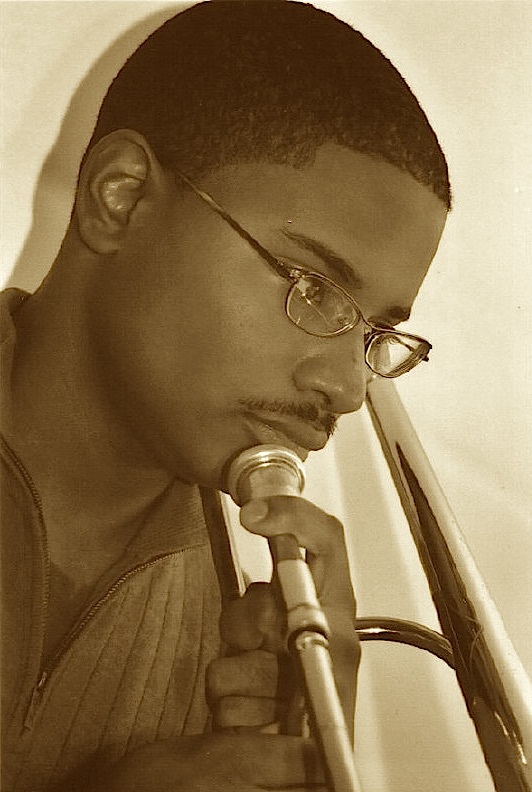 Trombonist Brent White, will be our next guest artist in the Mysterious Traveler Concert Series. PJP spoke with Brent White about his music and his approach. Brent White: My musical direction is purposed with combining poly-harmonic digital samples with melodic and rhythmic feel of Hard Bop Jazz in the late 1950’s. Brent White: My musical influences include, Lee Morgan, Nicholas Payton, Joe Henderson, J.J. Johnson and Stevie Wonder. PJP: What are you going to present at Mysterious Traveler 3? Brent White: The name of the project is The Broken Toy and it’s a suite of music dedicated to all of the children who suffer emotional damage that makes them broken and unable to be part of healthy relationships. Brent White: It's my pre-school class. Once a week, for over two years, I have been teaching them about Jazz music. That's what inspired my theme. Although I only spent one 30-minute session a week with these pre-schoolers, they had a good grasp of lyric, rhythm, pitch and dynamics. At the final performance, many parents came up to me and shared stories of how music made a difference in their children’s life and how they wish music was an integral part of what our schools offer. I was the only music teacher in a K-8 school! Then, I began to realize how emotional damage is caused by taking music away, or not allowing children to grow musically. That thought inspired much of what we are going to present in concert. Brent White: God inspires all things. In this sense, the past is no different from the future. It’s listening in the moment that creates fresh new music. Then, you do your research and see who’s done it before you and give honor and credit to the author. Brent White: Participate! Sing. If you're tone-def, take a theory class, or pick up the instrument for the first time. Music is a recreational activity. Brent White: Because Jazz is an art form that exists in the moment. We try our best to record and document the great moments, but you have to be present to understand, “Why Jazz”.